Are you looking for a rewarding restaurant franchise opportunity in Oklahoma? If so, we invite you to learn about the Lo-Lo’s Waffles & Chicken franchise – a serious and passionate soul food franchise restaurant that has taken the country by storm. Lo-Lo’s award-winning scratch-made chicken & waffles were the basis of our success, but our reputation has grown from a combination of out-of-this-world recipes and our devotion to giving our customers a dining experience like no other. Our mouthwatering combination of savory fried chicken and sweet, fluffy waffles has captured the hearts and taste buds of celebrities and professional athletes across America, and we invite you to find out what all the excitement is about! Lo-Lo’s has started its very own soul food revolution that has created an incomparable cult following. Literally…there is no other restaurant franchise that you can compare us to. Why open a Lo-Lo’s Chicken & Waffles franchise in Oklahoma? Lo-Lo’s was founded by Larry “Lo-Lo” White after spending many years perfecting his golden fried chicken and fluffy waffle recipes inside his grandma’s restaurant kitchen. We provide you with a business model proven to work – this way, instead of worrying and struggling, you can hit the ground running. 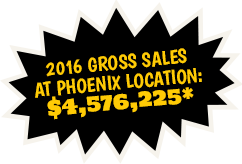 You’ll get a one-of-a-kind product and a proven business plan. You get all of the tools, advice and support you need to run a successful business – you simply can’t put a price tag on that. Why the Lo-Lo’s Chicken & Waffles franchise? It is the first soul food franchise of its kind and it is perfectly positioned for unlimited growth and nationwide expansion. 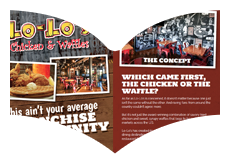 Not only would we love to tell you more about our soul food revolution that begs to be replicated, but with Lo-Lo’s, we will provide you with the dedicated support you need to grow your Lo-Lo’s franchise!